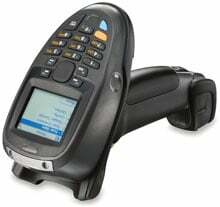 Motorola MT2070 - USB Non-Communication Cradle Kit. 1D Laser Scanner, Bluetooth, Windows CE 5.0, Alphanumeric Keypad, Color Screen. Includes charging/active sync (non-Bluetooth) cradle, power supply, US line cord, and USB cable. For Quad charging cradle kit see (Part# KT-STB2000-C4US). The Motorola KT-2070-ML2000C14W is also known as MOT-KT2070ML2000C14W	or KT2070ML2000C14W	.